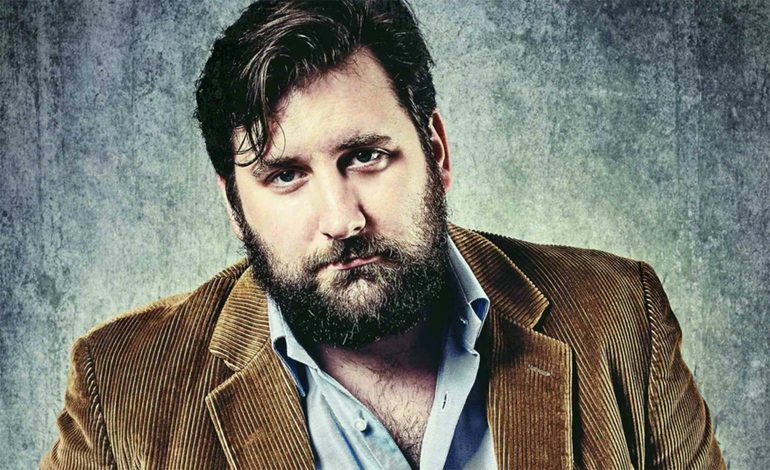 Garrett Millerick roars on to the tiny stage area in this small room at the Ring O’ Bells, and launches into his act – talking a mile a minute at a volume that could be heard three streets away, while clutching an entirely unnecessary microphone. Yes, I know, a microphone is a sort of comfort blanket for stand-ups; with it you know you can always drown out hecklers; but he could anyway – not that there are any tonight. This is Bath; we’re polite. So what’s the show about? Well, it’s chiefly about the show itself, how it came about, and how it was affected by incidents in his personal life. The odd title is meant to represent the original idea for the show: ie glimpses of nice things, to compensate for the general awfulness of the wider world nowadays. Turns out, though, that Garrett hates nice things; like holidays; sunshine, music, entertainment, food, and pretty much anything that most of us would think likeable. The only two things he does tell us he likes are his wife, and making people laugh. The central incident in the show combines both; in describing how being funny is central to their relationship, and how finding ways to be comic can be a comfort in difficult circumstances. And the circumstances this is tested in are about as difficult as it’s possible to conceive: first his wife’s miscarriage of their first child; and later an almost-too-late diagnosis of an agonising ectopic pregnancy. The bleak story of that, and the terrifyingly frustrating struggles to get an overstrained NHS A&E department to help, is the stuff of nightmares. And the volume, for once, drops. That they could make each other laugh at such a time is an astonishing demonstration of resilience; and his ability to make us laugh about the outcome shows something about the power of comedy. A show that leaves its audience impressed, and uplifted; if a little deaf. Garrett Millerick performed at the Ring O’Bells in Widcombe, Bath on Friday 12th April 2019.